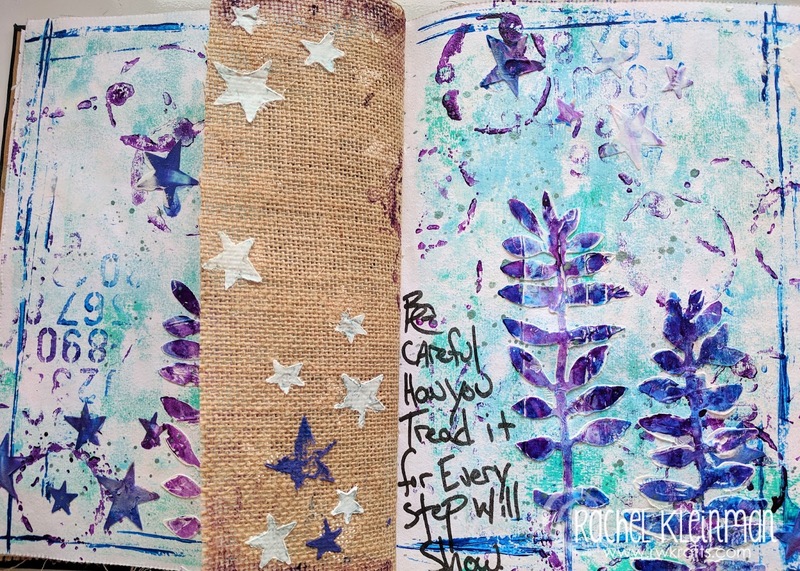 With the stress of work and school and real-life I've noticed that I'm drawn more to my art journal lately. It's a great way to get lost in some paint without having to worry about perfect placement or what others will think about it. I really enjoyed creating this art journal page for the Simon Says Stamp Wednesday Challenge - Snow White. At first I was going to do an all white color palette, but as I created the light blues and purples became just as important in my 'snow' making. 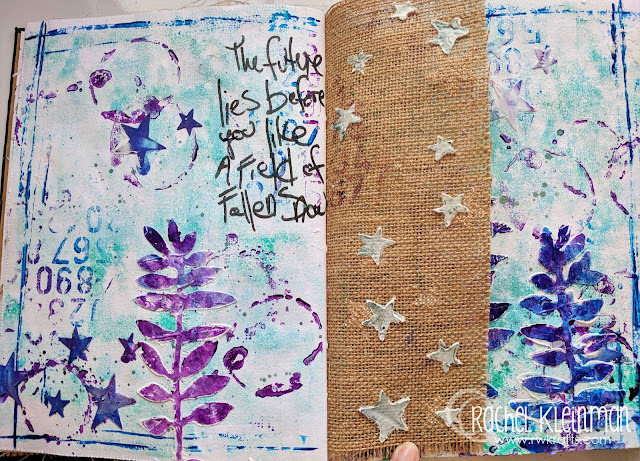 I pulled out some old Unity Stamps for the background (I stamped with paint) and The Crafter's Workshop stencils for the stars and branches. 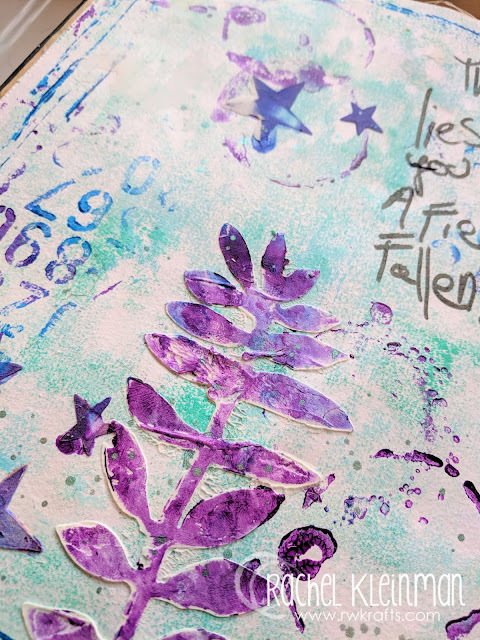 First I used modeling paste with the stencil, then once the paste dried I layered the stencil back in place and painted them blue and purple. 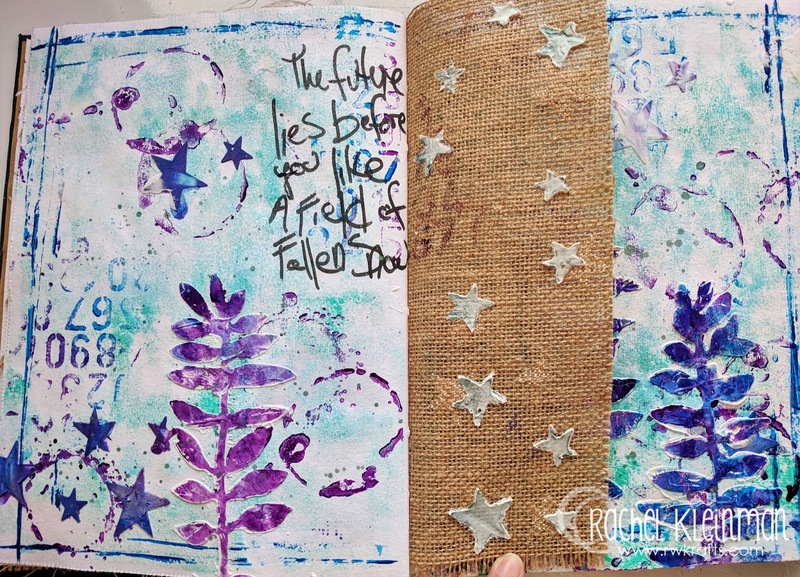 I used the Dina Wakley art journal with the burlap panel cut down to be a flap to hide the quote. 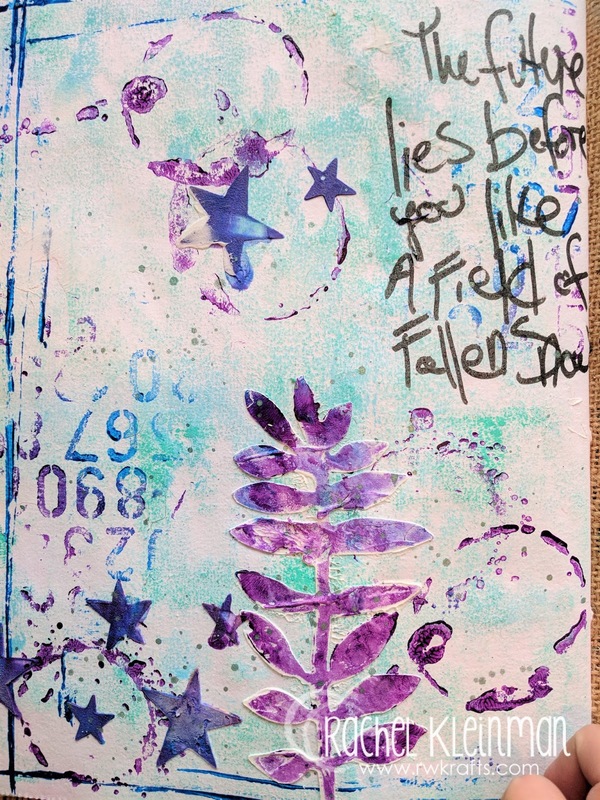 Unity Stamp Co "Stenciled and Deconstructed"
Unity Stamp Co "Beautiful Elements"